Lee Ann was pleased to narrate the third and final book in the Behind the Badge series about Floy Turner’s career as a woman in Florida law enforcement. 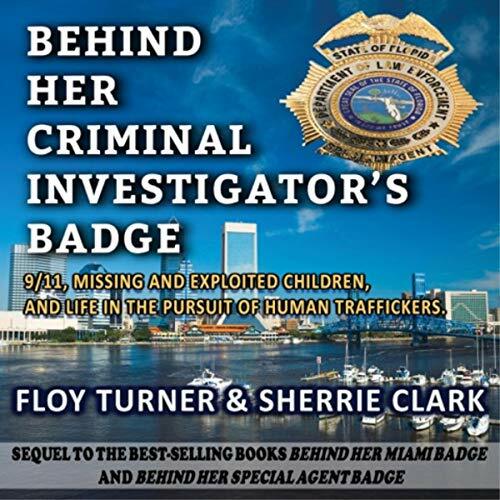 Behind Her Criminal Investigator’s Badge: 9/11, Missing and Exploited Children, and Life in the Pursuit of Human Traffickers by Floy Turner and Sherrie Clark rounds out the trilogy. “Special Agent Floy Turner returns for her final crime-fighting battles. With the first page bringing us back to historical 9/11, Floy finds herself in a precarious situation as she and her team face the potential threats of entering and searching the apartments of the 9/11 terrorists mere hours after the attacks. The action has only begun as evil continues to intensify. From escorting renown serial killer Aileen Wournos to her execution to interrupting the insidious ploys of kidnappers, cybercrime predators, and human traffickers, Turner uses her seasoned investigator’s skills to ensure justice is served. Posted by lahowlett on April 6, 2019 in Uncategorized.